New Hi-Rez Pix For “Prometheus” Reveal Its Secrets. | The Cineaste's Lament. New Hi-Rez Pix For “Prometheus” Reveal Its Secrets. We’ve been hearing more and more lately about Ridley Scott’s much anticipate prequel to his “Alien” franchise. 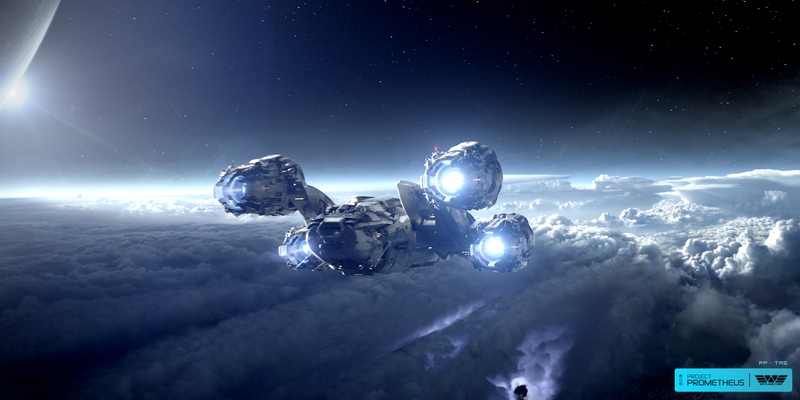 Via HeyUGuys, here’s a first look at the Prometheus ship and planet. This entry was posted in action, Film News, Reboot-Itis, Spoiler-itis and tagged Noomi Rapace, Prometheus, Prometheus set pictures, Ridley Scott. Bookmark the permalink.